Top 10 Cities to Visit If You Absolutely Love Art – Sig Nordal, Jr.
February 24, 2018 February 24, 2018 Sig Nordal, Jr.
Love art and traveling? Why not combine your two passions by visiting some of the best art destinations the world has to offer. From street art capitals such as Berlin and New York to the world-renowned galleries of Paris and Florence, great art can be found in all corners of the world. Whether you’re inspired by the work of old masters, love contemporary art, or you just want to soak up some healthy creative energy, here’s our list of the 10 best cities to visit to satisfy even the most insatiable art lover. If you’re an art lover, Paris should be at the top of your destination list. With too many fantastic museums to mention, perhaps it’s best to start with the biggest and oldest. Built in the early 12th century, The Louvre was previously used as a royal fortress. It was turned into a museum in the late 1700s and today displays around 35,000 objects. It’s home to some of the world’s most famous artistic treasures, including Leonardo da Vinci’s Mona Lisa. Another must-visit gallery is Musée d’Orsay, situated in the former, ornate Gare d’Orsay railway station. Here, you’ll find the largest collection of Impressionist and Post-Impressionist art in the world. Produced between 1848 and 1914, the entire French national collection includes the work of Van Gogh, Degas, Cézanne, Gauguin, and much more. For contemporary art, be sure to visit Modus Art Gallery, which showcases an eclectic, ever-changing collection. Other mentionable contemporary galleries include Yvon Lambert, Galerie Xippas, and La Maison Rouge. For art without queues or an entry fee, check out the Belleville neighborhood, where you’ll find plenty of world-class street art and graffiti. 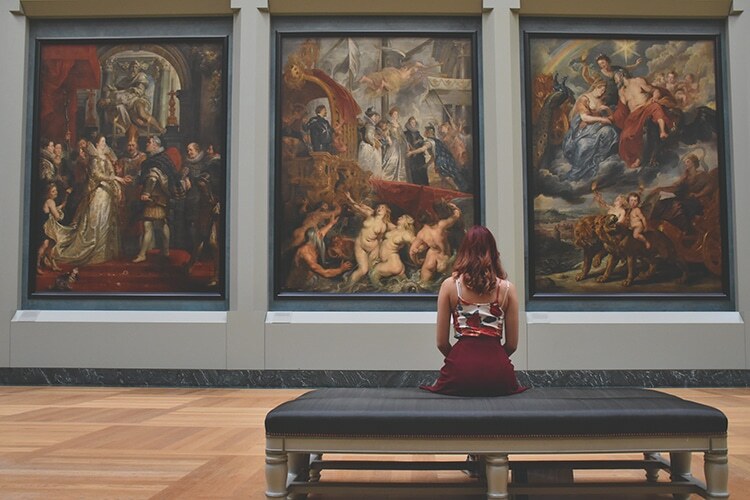 Home to world-famous museums such as the Metropolitan Museum of Art, MoMA, and the Solomon R. Guggenheim Museum, New York can be overwhelming for an art lover. While we naturally recommend visiting these world-famous museums, you can also explore some of the less sign-posted art locations within New York’s contemporary art scene. To help, companies such as New York Gallery Tours will guide you through the labyrinth of galleries in the hippest parts of the city, including Chelsea, SoHo, Tribeca, and the Lower East Side. Whether you stay within Manhattan or head out to the outer boroughs, you’re bound to have plenty of options. 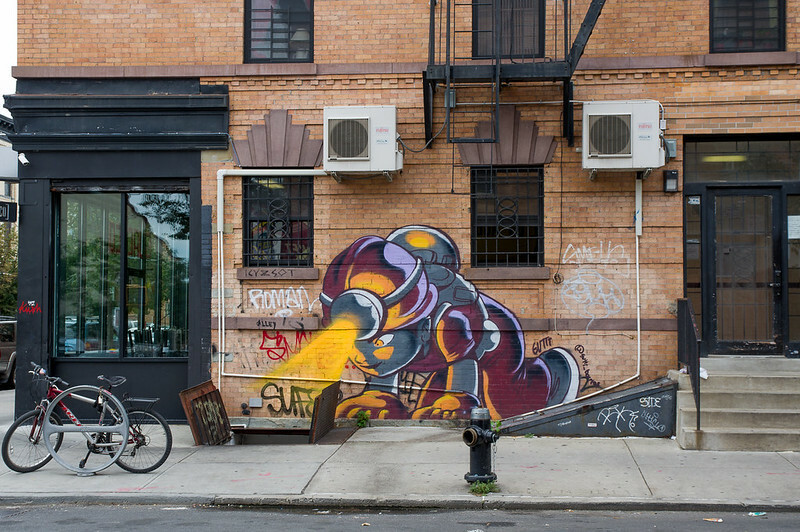 For a more raw view of the city’s art, head to Bushwick (in Brooklyn) to explore graffiti art-covered streets, hang out with the local creatives, and visit cutting-edge contemporary galleries that showcase emerging talents. With so much to see, though, make sure you have a plan in place beforehand. Berlin is one of those cities where art can be found around every corner. 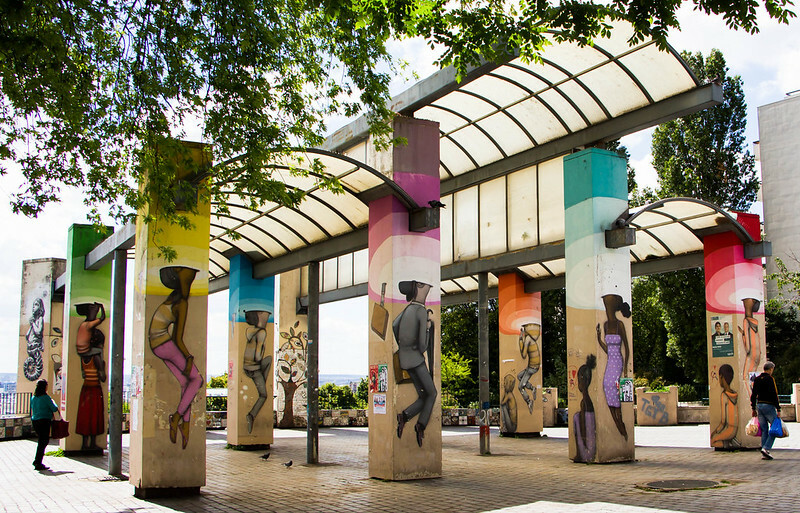 It’s a place where the urban landscape is constantly changing, with new street art seemingly popping up overnight and older pieces being covered or changed. Perhaps the most famous spot for street art is located in the Friedrichshain-Kreuzberg district, where part of the historical Berlin Wall is now used as the longest open-air gallery in the world. The city’s East Side Gallery spans more than 1,000 meters (1.3 kilometers) and features hundreds of painted murals. However, if you want to avoid the tourists, you can just as easily find some of the world’s best street art all over the city. Each neighborhood has its own unique vibe, but the alternative streets of Kreuzberg is a great place to start if you want to see amazing works of art on nearly every wall, doorway, and rooftop. 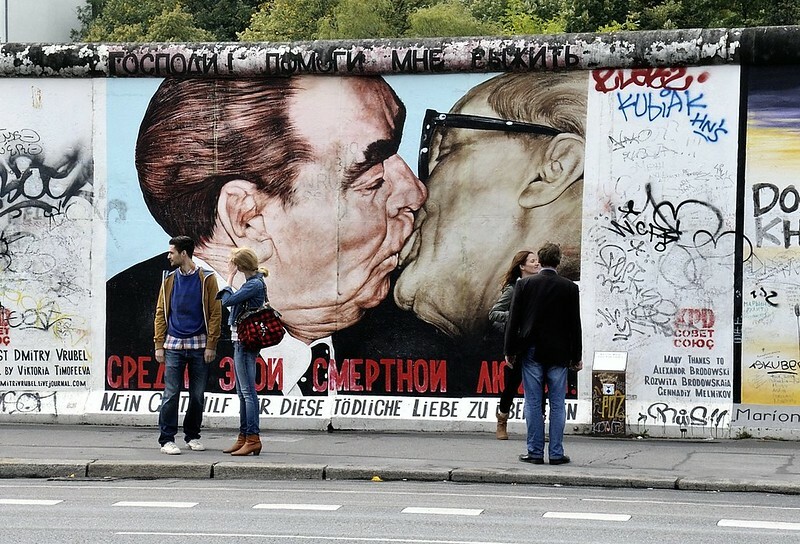 If street art isn’t your thing, you can visit Berlin’s countless galleries and museums. 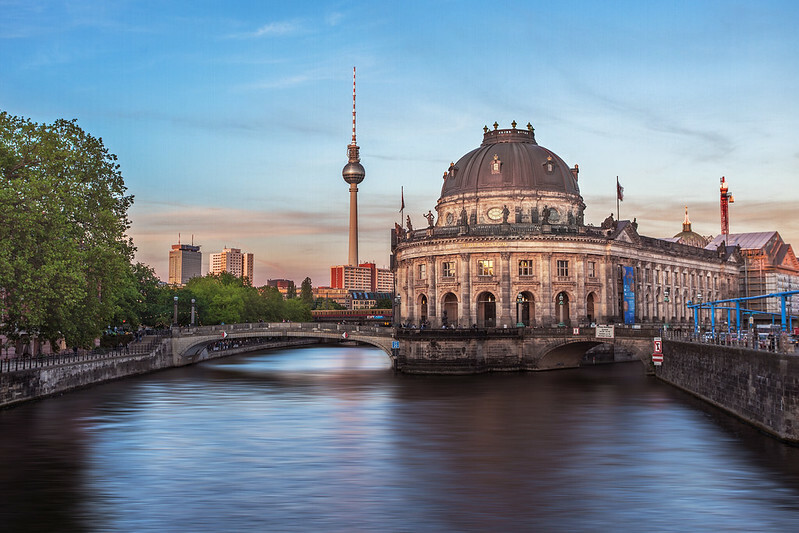 There’s even a whole island in the middle of the city, aptly named Museuminsel, or Museum Island, where you can find five world-renowned museums. Among the many artworks on display, you can see masterpieces from artists such as Monet, Renoir, and Manet at the Alte Nationalgalerie; in the Neues Museum you can explore ancient Egyptian art; and, at the Altes Museum you can see the largest collection of Etruscan art outside of Italy. One other piece of art you can’t miss in Berlin is the giant Molecule Man sculpture by Jonathan Borofsky. 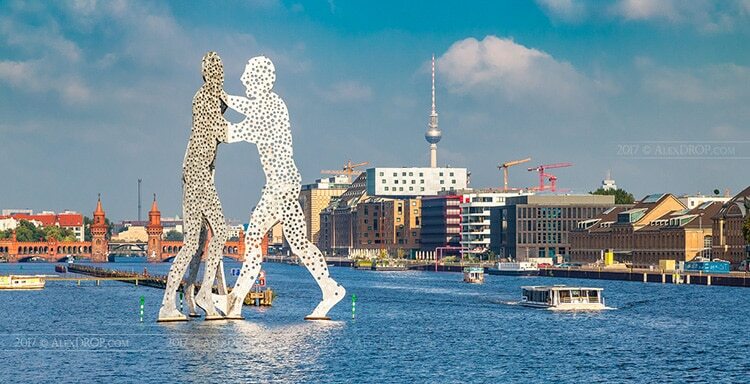 Erected in the river Spree in 1999, it features three human figures made from perforated aluminum. The monument intersects the three districts of Kreuzberg, Alt-Treptow, and Friedrichshain, and symbolizes the reunited West and East Berlin. Home to Art Basel—one of the world’s most prestigious international art fairs—Miami’s vibrant art scene offers a full menu of artistic delights. For galleries galore, visit the Wynwood Arts District, where you will find over 30 contemporary art spaces and studios. 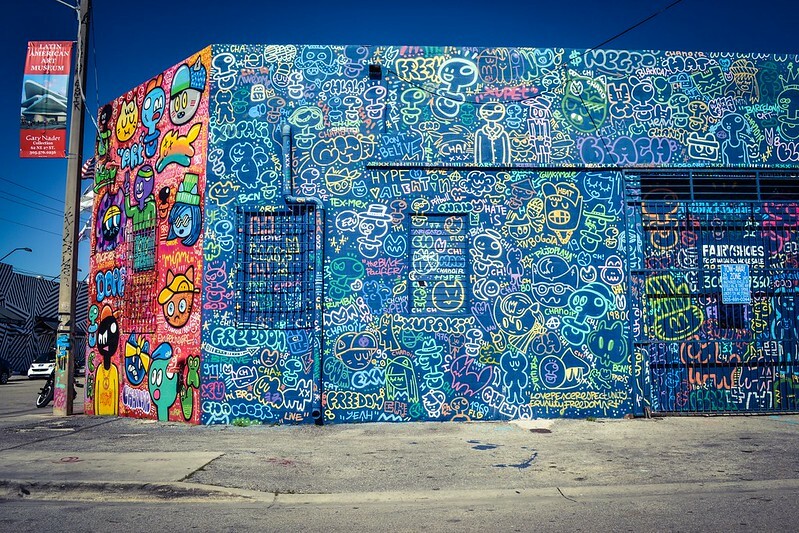 Here, you can also take a street art tour with Wynwood Art Walk. We also recommend the waterfront Perez Art Museum for the best of modern and contemporary art. With hundreds of galleries scattered among skyscrapers, back streets, and old towns, Tokyo is one of the most exciting places to visit for its art. 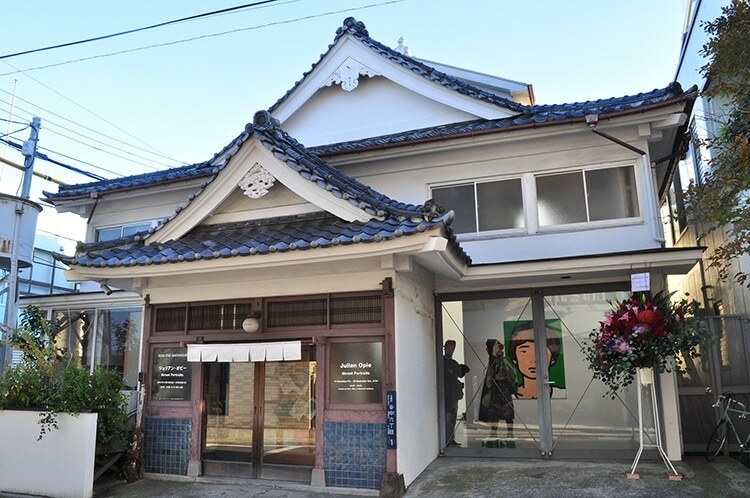 Tucked away in an old neighborhood of traditional wooden houses and temples, SCAI The Bathhouse is one of Tokyo’s most prestigious contemporary art galleries. The former 200-year-old bathhouse is now a white-walled art space, but still retains details of its past, such as wooden lockers where bathers would have stored their shoes before taking a dip. Past exhibiting artists include Anish Kapoor and Tadanori Yokoo. For art with a view, head to the Roppongi entertainment district and to the top of the 54-story Roppongi Hills Mori Tower skyscraper. Here you’ll find the legendary Mori Art Museum, where over the years its ever-changing exhibitions have included the polka dot installations of Yayoi Kusama. If Renaissance art is your thing, Florence is the city for you. 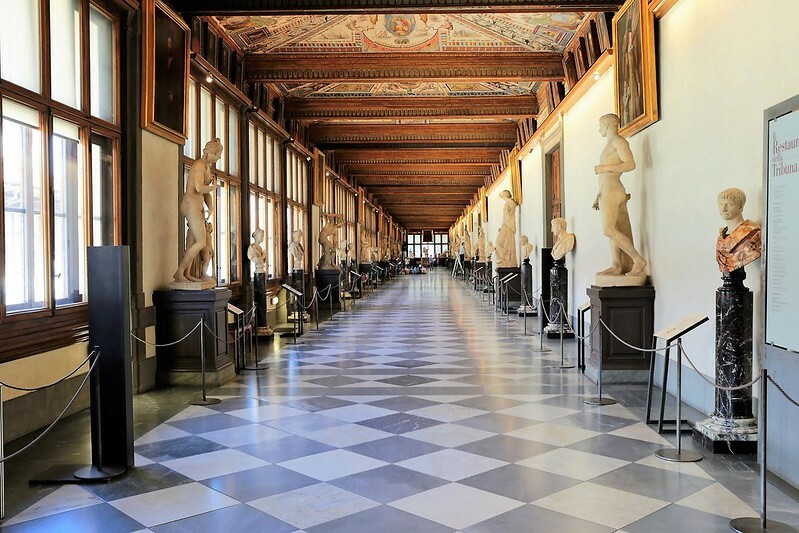 Explore the colossal collection of the Medici family at the Uffizi, which includes masterpieces by Michelangelo, Giotto, Botticelli, Da Vinci and more. To complete your Renaissance masterpiece tour, head to the Accademia Gallery to see Michelangelo’s iconic David sculpture. For your contemporary art fix, visit Florence’s Centro di Cultura Contemporanea Strozzina, also known as the “anti-Uffizi.” Through themed exhibitions, this gallery is devoted to showcasing the best of contemporary Italian art. Barcelona is a must-see destination for art lovers, as it’s home to Museu Picasso; one of the biggest Pablo Picasso collections in the world. But the Spanish hub has a lot more to offer besides Picasso, including large collections of Romanesque, Gothic, and Baroque art displayed at Museu Nacional d’Art. However, a trip to Barcelona wouldn’t be complete without marveling at the architecture of Gaudi. London is home to all styles and eras of art, so it’s a great city to visit if you want to see a bit of everything. You can find classics from Van Gogh at the National Gallery, modern art masterpieces from the likes of Picasso, Hockney, and Warhol at Tate Modern, as well as many contemporary gems at Saatchi Gallery. For a less-formal setting, visit Shoreditch, a creative inner-city district in the East End. 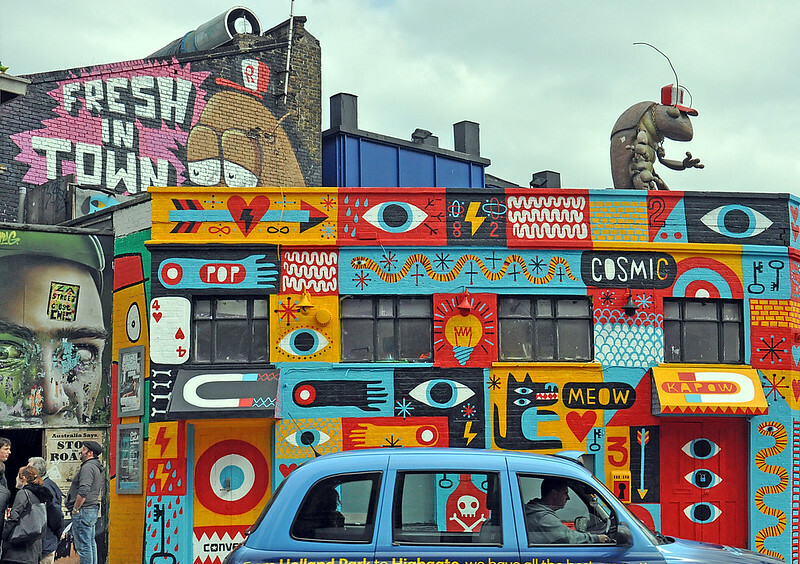 Here you can marvel at some of the city’s most impressive street art and even join in on an Alternative London Walking Tour, led by the local street artists and creatives. 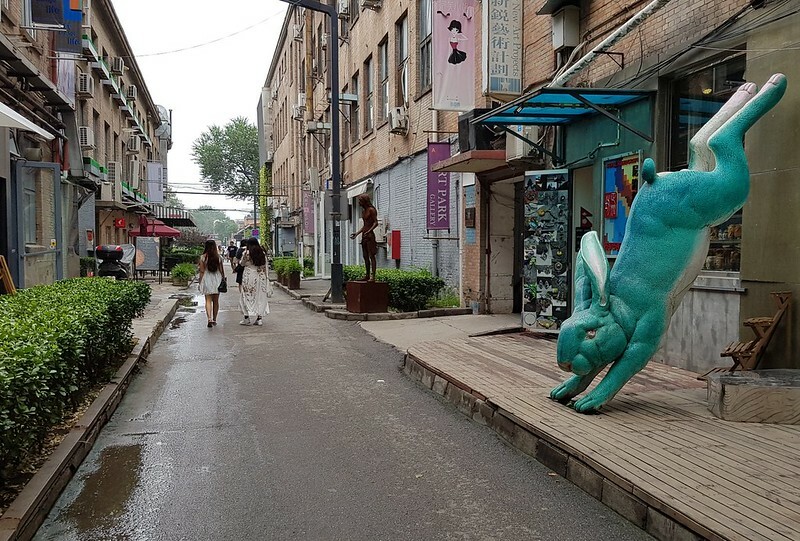 Having seen a recent boom in contemporary art, most of Beijing’s art can be found in 798 Art District. Here, former industrial buildings have been transformed into contemporary art spaces and open-air installations. 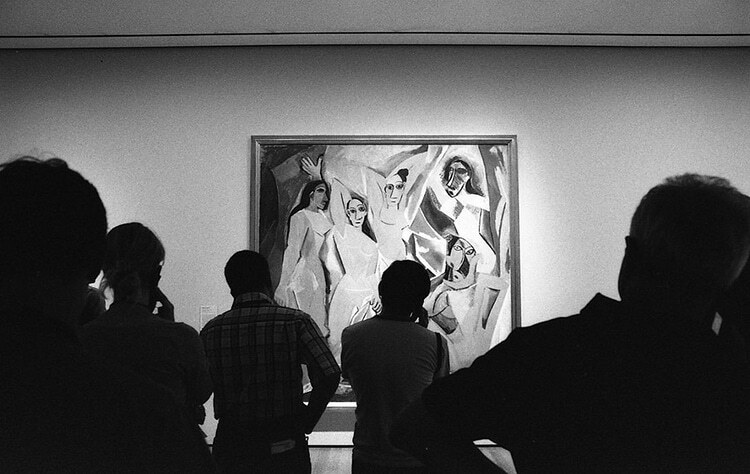 You can find pretty much any type of art—from photography to sculpture to fashion design. For Chinese historical art, check out the Poly Art Museum which features ancient bronze works from the Shang and Zhou dynasties. While Chicago is home to world-class institutions—such as the Museum of Contemporary Art and the Art Institute of Chicago—it’s a city where you don’t have to be indoors to see great art. 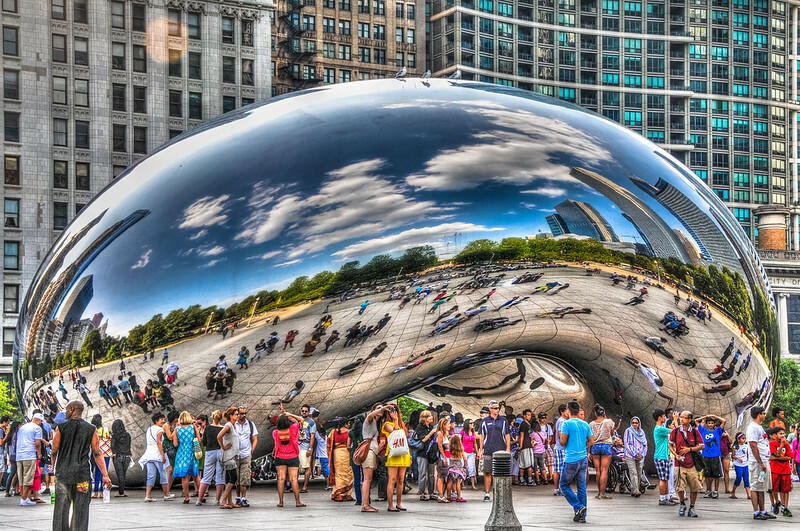 While wandering around the central business district, The Loop, you’ll find plenty of public artworks including Anish Kapoor’s iconic Cloud Gate in Millennium Park. You can also find an untitled cubist sculpture by Pablo Picasso, which was the first of Chicago’s public art pieces to be installed in 1967. However, if the windy city lives up to its nickname, and the weather is just too much to stay outdoors, head to the former warehouse district, River North, where there’s over 100 contemporary art galleries to explore. 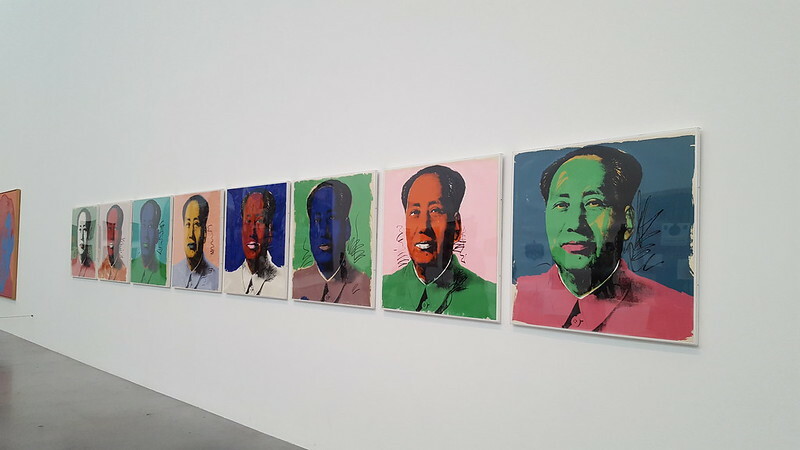 The post Top 10 Cities to Visit If You Absolutely Love Art appeared first on My Modern Met. Previous Article Wisdom, The World’s Oldest Known Wild Bird, Successfully Hatches Another Chick!